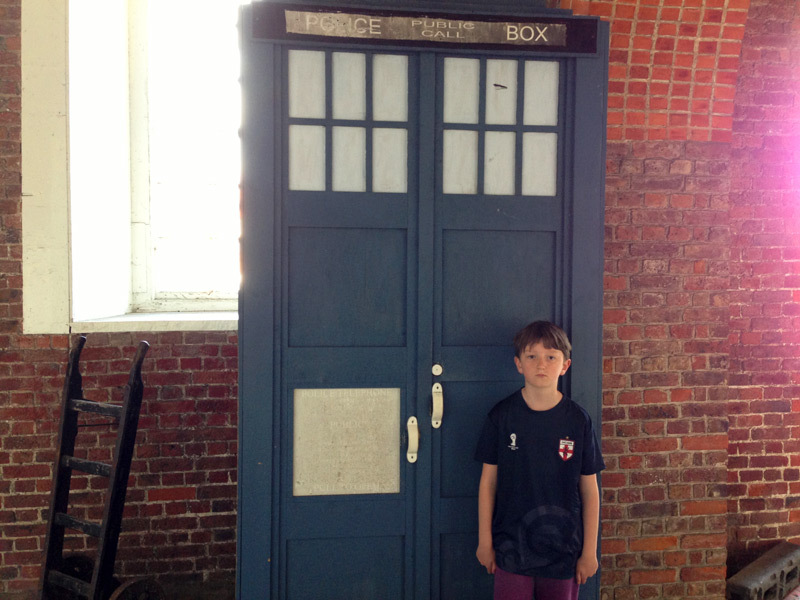 The Ninth Doctor was right – not even Ghengis Khan could get through the door! 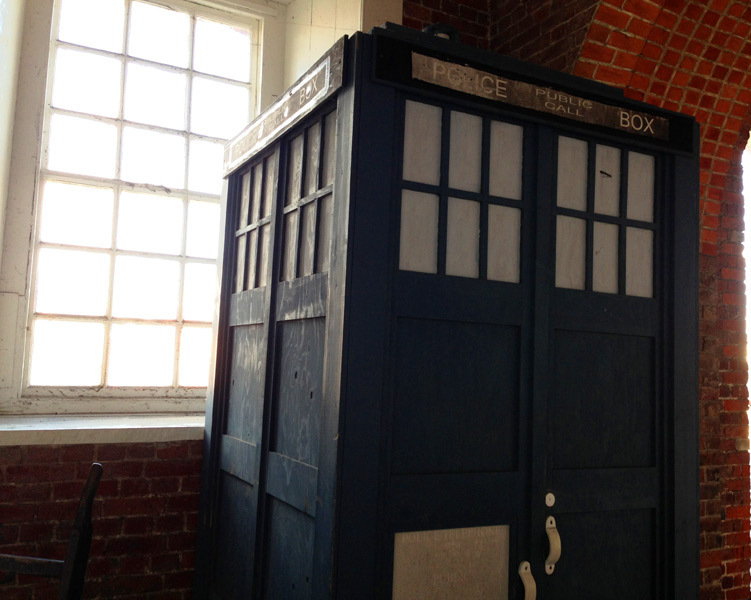 Here is another TARDIS which I found in the Portsmouth Historic Dockyard earlier this month! It must have been the TARDIS of one of the older Doctors because it doesn’t look like the one in Boscombe. The chameleon circuit must have gone wrong because it didn’t look quite right! I couldn’t look inside because the Doctor locked it behind him. It was a very blowy day that almost took me off my feet so maybe that was the TARDIS materialising? The Sea Devils must have come to the dockyard with their cousins the Silurians to take over the world. ‘NOT THIS TIME! C’mon out, I’ll give you a taste of your own medicine!’ Maybe I saved the day, or the Doctor did. Either way is good! 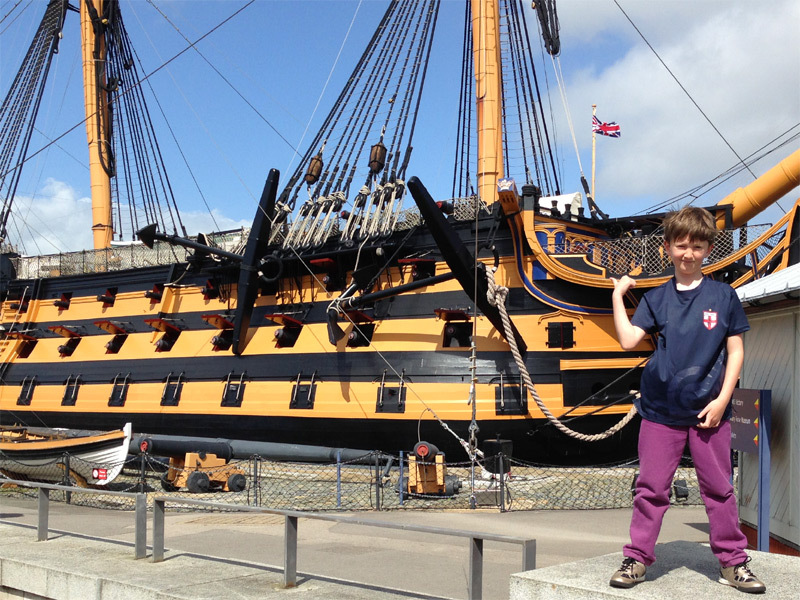 I like going to the dockyard because it is full of historical ships and I like learning about Horatio Nelson because he is a hero of mine; he met with the Second Doctor in the book HMS TARDIS when the Doctor, Ben and Polly materialised on HMS Victory. I have been on the Victory lots of times, it is my favourite ship at the dockyard. There is so much more to see including HMS Alliance, the Mary Rose and HMS Warrior but I like the Victory the best. See you soon land lubbers. I remember being scared of the Sea Devils when I was your age, also having fun running around the Victory with my brother!